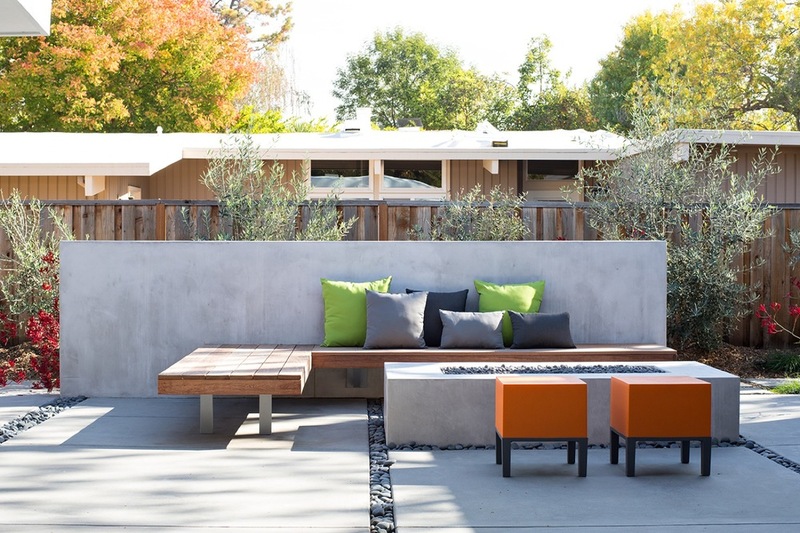 We worked with Klopf Architecture, RJ & Associates Landscape Specialists and Flegel’s Construction to give an insightful update to a classic Eichler in Palo Alto. 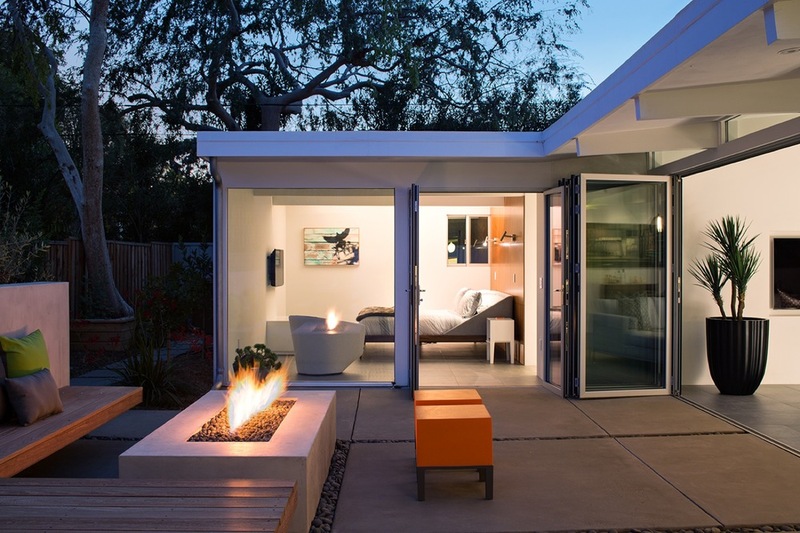 It will be on the Silicon Valley Modern Home Tour on May 16th, if you'd like a chance to see it in person! The conventional divide between indoors and out is creatively deconstructed in this family home. Materials and textures flow seamlessly throughout the home and garden, with planes unbroken by wall or window. The open-air living space allows an unobstructed view from the blue tiled fountain through the home to the firepit that anchors the outdoor living room. Energy moves through the house like light through a prism. The meditative entry courtyard welcomes guests into the house, providing a moment of quiet before continuing into the airy living space and lively outdoor entertainment space beyond.